Coutts Pulver Crawford LLP – Responsive law firm, responsive website. 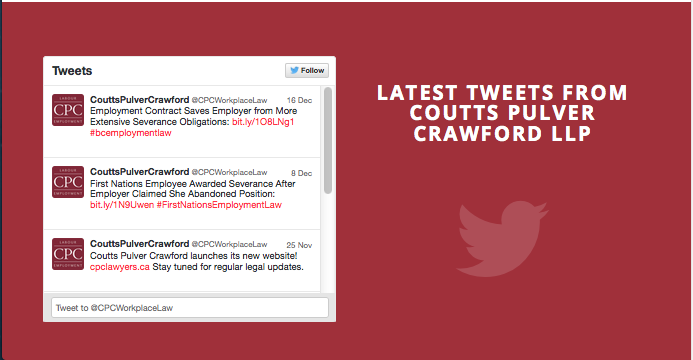 Coutts Pulver Crawford LLP is a Vancouver-based law firm focused on labour and employment law matters and related areas of practice like human rights law, privacy and workers compensation. In addition, they take a proactive approach with their clients offering strategic business advice relevant to their practice areas. The firm caters to both public and private sector clients across a full range of industries and sectors in British Columbia. 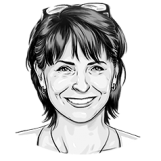 They are one of a handful of firms that has a significant practice focused on advising and acting for First Nations and Aboriginal employers. Dean Crawford, QC also happens to be a UVic Law alumni like Doug and me. Consequently, when Dean called us for help to refresh the firm’s website and bring it “up to code” in terms of responsive design we were happy to help. The firm was also in the midst of a name change to reflect an expansion in the partnership so the first step was to update their logo and assist them in selecting a new domain name (cpclawyers.ca). 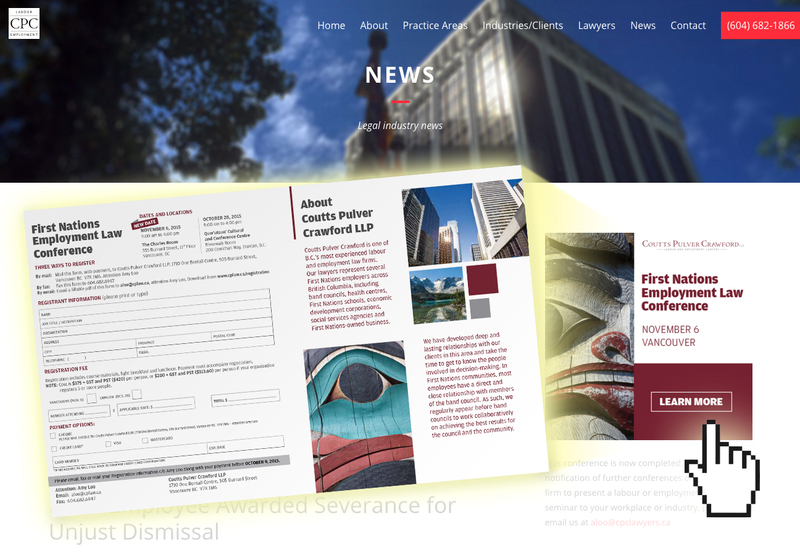 After that we set to work designing a new responsive website to incorporate new content and display social media activity to help the firm extend its online presence as labour and employment lawyers in BC. 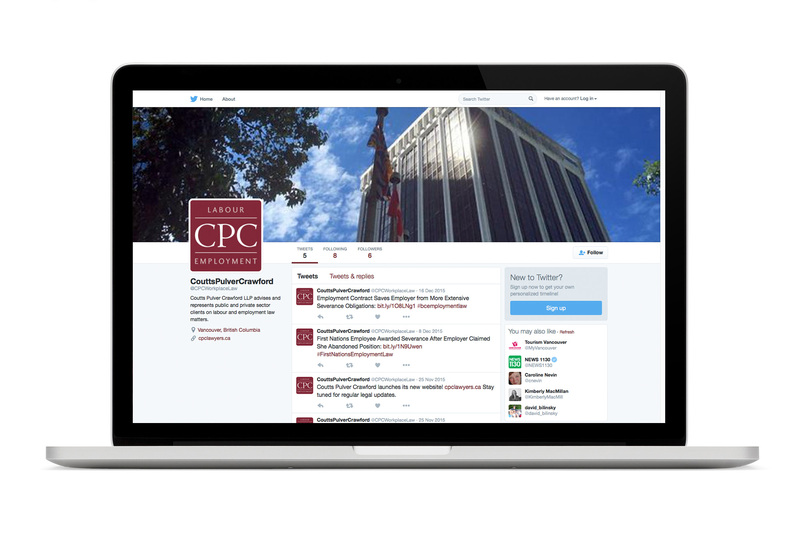 We gave the firm’s Twitter feed a prominent place on the site to allow the firm to use the Twitter feed to promote internal blog posts as well as build a presence on Twitter. The old website was a combination of html and CSS without the power of a content management system behind it. This meant it was not as easy to update as it could be. To fix this issue we built the site on WordPress. The firm is also actively engaged in providing educational and professional development activities for clients. For example, the firm recently hosted two First Nations employment law seminars for clients. They wanted the capability to promote these types of initiatives through the new website. To help with that we created a sidebar area on the firm’s News page that could be used to profile events (past and present). The firm’s logo is a wordmark that is quite long and not well suited to standard social media formats (as is the case with many law firm names). To resolve this issue we opted to create associated icon for use on social in conjunction with using the firm’s full logo on cover photos. You can see a sample of how this looks on the main site and on the visual below. We are pleased with the results and we look forward to watching the firm begin to use all the new bells and whistles they can now access.